To mark the middle of the UN Decade on Education for Sustainable Development (2005-2014), in close cooperation with the publishing house Tudor Rose, UNESCO have prepared and published a book “Tomorrow Today”, containing outstanding ESD related experiences and good practices from various institutions and organisations around the world who share their vision and approach to taking action today in order to bring about a more sustainable tomorrow. Institute of Sustainable Education form Daugavpils University was one of the few education and research related institutions in the Baltic area which were granted the honour of presenting their experience in this notable book. A special focus of the book is education as a means for achieving a better future for everyone. The Institute of Sustainable Education contributed its experience in reorienting teacher education to address sustainability, as well as establishing and maintaining close international partnership in researching and implementing the aims of the UN Decade through BBCC network, annual JTEFS/BBCC conference “Sustainable Development. Culture. Education” and scientific journals – Journal of Teacher Education for Sustainability and Discourse and Communication for Sustainable Development. 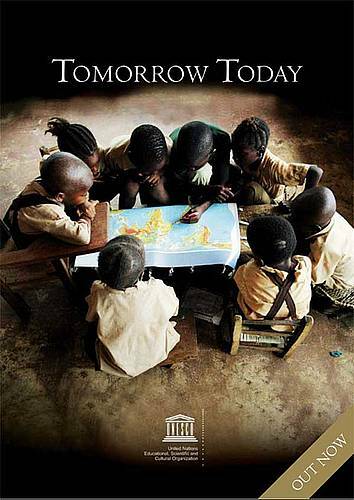 The book “Tomorrow Today” was officially presented during UNO General Assembly on November 4, 2010 by Director-General of UNESCO Ms Irina Bokova.